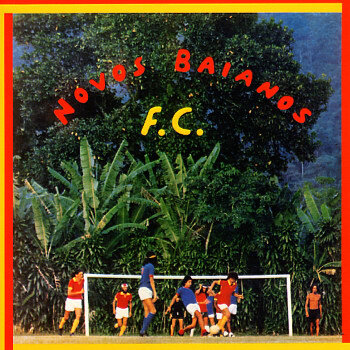 A great 70s album by Os Novos Baianos – a wonderfully youthful group that was one of the bright spots in Brazilian music after the Tropicalia years. The band had a style that mixed folksy percussion with honest personal songwriting, plus occasional touches of elements gleaned from the larger influences in Brazilian rock at the time. The album has a sound that's a lot more intimate than later work, with some especially great work on guitar and bandolim, and great production on the band's vocals. Titles include "Sorrir E Cantar Como Bahia", "Dagmar", "Vagabundo Nao E Facil", "Cosmos E Damiao", "Com Qualquer Dois Mil Reis", and "Os Pingo Da Chuva". © 1996-2019, Dusty Groove, Inc.